A simple name, Bucha Blood Orange, belies the complex interplay of diverse ingredients within this sophisticated beverage. Yes, there’s orange…and a lot more! 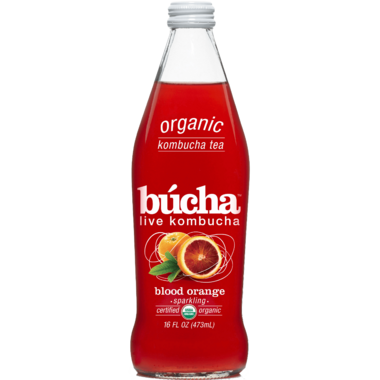 Bucha gently extracts their own blend of organic South African Rooibos, Egyptian hibiscus flower, Chinese safflower threads, and American orange peel. Rooibos, prominent in the ‘red tea’ category, is naturally caffeine-free, and is free of the astringent tannins associated with black tea. Along with its pleasant, berry-like flavor, it offers some of the benefits associated with vitamin C, anti-oxidants, calcium, potassium, magnesium, and zinc. 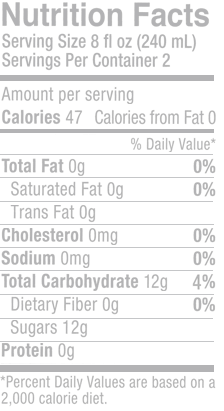 Ingredients: Organic live kombucha (purified water, organic evaporated cane juice, organic black tea, kombucha culture), organic caffeine-free tisane (organic rooibos, organic hibiscus, organic orange peel, organic safflower, organic orange flavors, natural citrus essence), organic blackcurrant color and Bacillus coagulans.